PRO RALLY, will offer a complete line of race fuels for rallying, drag racing, sprint cars, motocross, super cross and marine performance arena. in addition we can supply all types of rally and racing wheels, brake pads, clutch sets, and much much more. 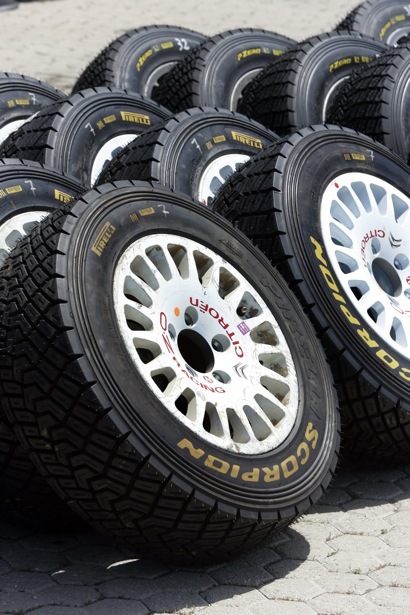 Moreover that we are the dealers of PIRELLI motorsport tyres and can supply all kinds of race and rally tyres in a very competitive prices. our services can include a location delivery, we can deliver your products where ever you like, supplier warehouse, customs, service park, or any place you wish your products to be delivered at, in a short and reliable manner. Here at PRORALLYwe have a genuine knowledge of the products that we supply, this has been gained through our past and continued involvement in motorsport with various race and rally teams, drivers & mechanics throughout the Middle East. This experience enables us to understand the importance being placed on the reliability of the products being used at rally or race track, and also of having the right equipment for the job, Especially in the heat of the moment! We understand that the price of a product is important to you, but also realise the quality of the product is equally important. PRORALLYwill only deal with reputable manufactures who produce some of the sports leading products.